On Friday, September 30th we will have a special morning assembly and classroom dedication honoring Edward A. Bouchet, Class of 1870. As many of you know, Edward Bouchet graduated from Hopkins in 1870 (valedictorian) and he was the first African American graduate of Yale in 1874. 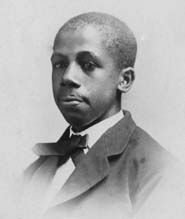 In 1876 Edward Bouchet was the first African American awarded the Ph.D. from Yale. Dr Curtis Patton, Professor of Epidemiology and Director of International Medical Studies at Yale School of Medicine will be our morning speaker. The Hopkins Concert Choir will also perform. The morning assembly will be followed by a reception held in the Malone Atrium. During this reception, the Malone Seminar room will be dedicated (and renamed) the Bouchet Seminar room. Please feel free to e-mail Angela Wardlaw if you have any questions or concerns.